The most daring Ninjak epic of all time is about to begin as Master Darque goes head to head with Valiant’s most feared super-spy!! 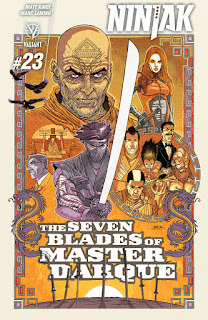 As revealed today at Newsarama, Valiant is proud to announce “THE SEVEN BLADES OF MASTER DARQUE,” beginning in January’s NINJAK #23 – the FIRST ISSUE of a blistering ALL-NEW ARC andALL-NEW JUMPING-ON POINT for MI-6’s deadliest covert operative! This winter, join New York Times best-selling writer Matt Kindt (DIVINITY III: STALINVERSE) and acclaimed artist Marc Laming(Planet Hulk) for a searing, four-part descent into darkness that will set Ninjak on an irreversible collision course with Master Darque – the secret master of his deadliest foes, the Shadow Seven, and the Valiant Universe’s most dreaded force of evil incarnate! It’s all led to this! 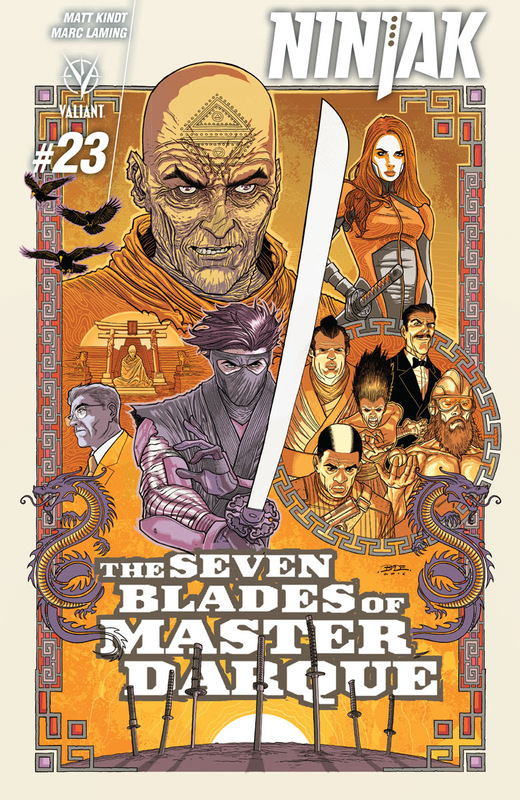 On January 11th, be there as Matt Kindt and Marc Laming present a death-defying jumping-on point that will leave Valiant’s seven-time Harvey Award-nominated series forever shattered when “THE SEVEN BLADES OF MASTER DARQUE” strikes in NINJAK #23! Featuring covers by Ryan Bodenheim (The Dying & The Dead), Ben Oliver (The Multiversity), Felipe Massafera (Shaper), Ryan Lee (Inhuman), Bilquis Evely (Wonder Woman), and Ben Templesmith(30 Days of Night), the countdown to the biggest Ninjak tale ever attempted starts here in 2017! 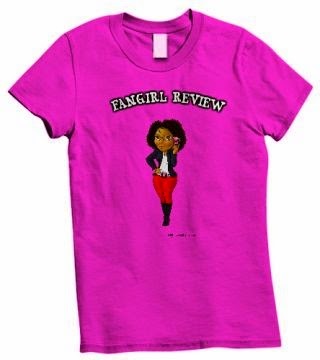 $3.99 | 32 pgs | T+ | COMING IN JANUARY!